Venezuela’s embattled dictator Nicolás Maduro hinted that the country’s young opposition leader Juan Guaidó could soon be sent to prison for his presidency challenge, as nine major European nations recently joined the United States in recognizing Guaidó as the interim president. 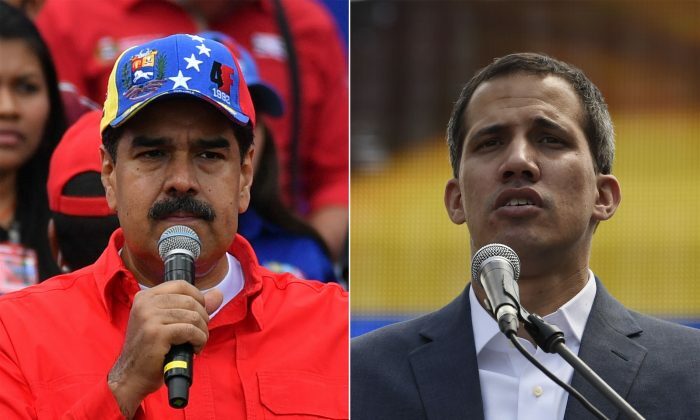 Speaking to his supporters on the evening of Feb. 4, Maduro questioned how long Guaidó could serve his “virtual term.” Maduro first gained power of the oil-rich nation in 2013 and was inaugurated to a second term in January which has been widely dubbed as illegitimate. In 2017, Maduro forced Venezuela’s’s legitimate Supreme Court into exile. 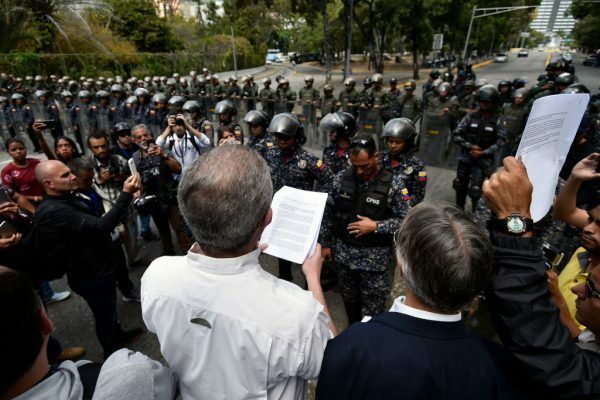 The banished chairman of the court, Justice Miguel Angel Martin, previously told The Epoch Times that Maduro is a “former president” and has called on the Venezuelan military to detain him. But Guaidó still remains a free man since he first proclaimed himself acting president on Jan. 23. Maduro is likely afraid to take physical action against his opposition for fear that the United States—which has been a key supporter of Guaidó—would severely punish him in retaliation. On Feb. 4, Maduro also turned his criticisms to the United States. He called President Donald Trump an arrogant racist and “the embodiment of capitalism itself” as European nations led by Britain, Germany, France, and Spain recognized Guaidó as president after an eight-day deadline for Maduro to call a new election expired. A day before that, Maduro said Trump was acting as if he was the “head of the Ku Klux Klan” in an appeal to Pope Francis for an upcoming “peace conference” led by Mexico and others on Feb. 7. Venezuela’s government, in another statement, said it “expresses its most energetic rejection of the decision” by the European nations. Russia and China, the main backers of Maduro, have invested billions of dollars in Venezuela through investments and loans. Although most Latin American countries back the opposition leader, El Salvador, Nicaragua, Bolivia, and Cuba have all pledged their support for Maduro. 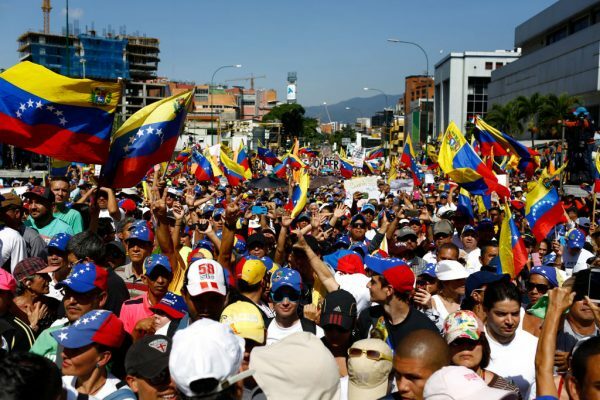 The dictator’s socialist policies have caused an economic crisis that has prompted millions of Venezuelans to flee the nation and has elicited mass protests in the streets calling for him to step down. Maduro on Jan. 30 said he was ready to negotiate with Guaidó, who has continued to ramp up local and international pressure against his presidency. A day before, he had blocked Guaidó from leaving the country and is investigating him for alleged anti-government activities. His calls were backed by Russia’s Foreign Minister Sergei Lavrov who said on Feb. 5 that Venezuela’s mounting political crisis could only be solved if the two have a dialogue. But a top Venezuelan diplomat said Guaidó does not plan to talk with Maduro. Carlos Vecchio, who was appointed by Guaidó as the representative of the government of Venezuela to the United States, said at a discussion hosted by the Atlantic Council that they want to have an “orderly transition” of government. Despite the mounting pressure, Maduro still has the support of the Venezuelan armed forces, even as Guaidó is offering amnesty to soldiers who join his side. On Jan. 26, Col. Jose Luis Silva, Venezuela’s defense attache to Washington and a key military official, said he broke with Maduro’s regime. Gen. Francisco Yanez, a high-ranking Venezuelan air force general also disavowed Maduro and recognized Guaidó. Meanwhile, the United States is reportedly sending food and medical supplies to Colombia’s border with Venezuela where it will be held until it can be properly delivered into the struggling nation.